Restoring and protecting face mist, provides moisture and energizes skin. For dehydrated skin. 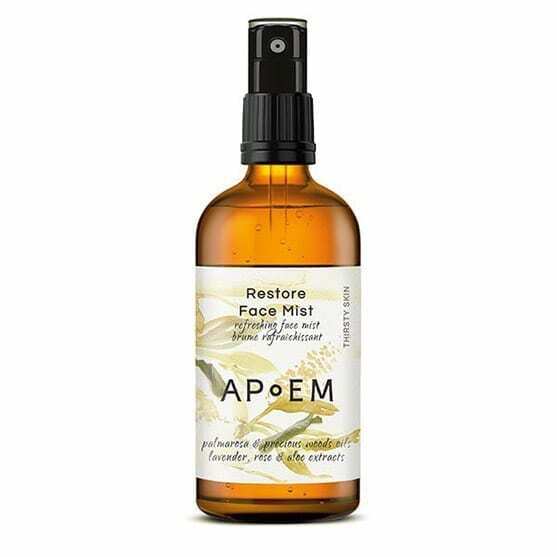 A facial spray that helps refresh, restore and energize the skin, as well as extending the wear of makeup and providing a touch of natural freshness. Wonderful floral overtones of lavender and mint add a luscious touch to the refreshing mist experience. 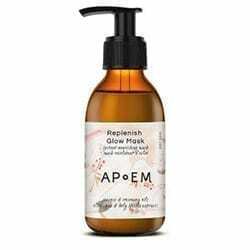 Natural extracts of rose, witch hazel, chamomile and calendula infuse every inch of your skin for the most complete refreshing and moisturizing results. Aromatherapy: palmarosa & precious woods, moisturizing, refreshing and energizing effects on skin. 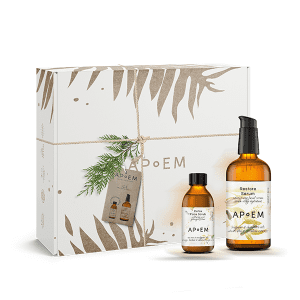 Phytotherapy: rose, aloe, mistletoe & lavender, refreshing, moisturizing, relaxing and emollient effects. Vegan – 98,8% Natural by ISO:16128 – Eco-Friendly – Cruelty Free – ingredients of Natural Origin – Gluten Free – Pregnancy Friendly – 100% of ingredients approved by any certification. Especially for thirsty skin types. Spray from a distance of 30 cm onto clean skin or on top of makeup. Blot off the excess after 2 minutes. Repeat as desired. Your skin’s thirst is instantly quenched, while the desire of others to experience the same sensation is awakened. Supple, soft and visibly even skin, with a natural glow.